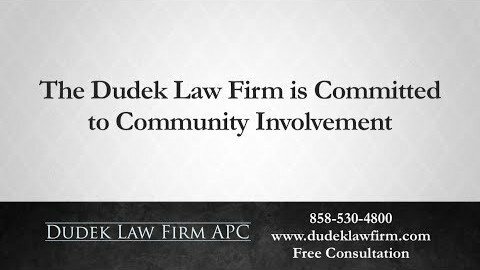 With over 20 years of experience, Dudek Law Firm APC represents injured individuals and families throughout California. 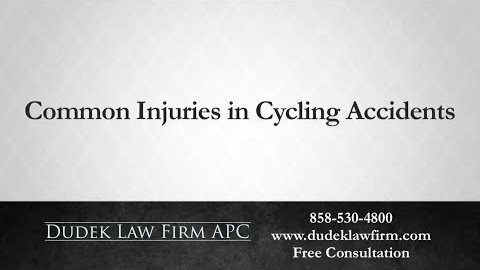 Directed by San Diego personal injury attorney Frederick M. Dudek, our law firm combines the experience and resources of a large firm with the individualized attention and care of a small operation. Clients benefit from continual interaction with Frederick, who will keep you informed throughout the claims process. 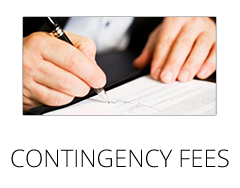 We offer free initial consultations so that you can get the legal advice and answers you need, at no charge. 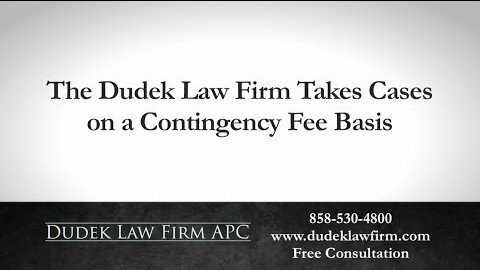 When you come in for a consultation, you will meet directly with attorney Frederick Dudek, not an associate. He will happily answer all of your questions and, if you have a case, will personally represent your claim. 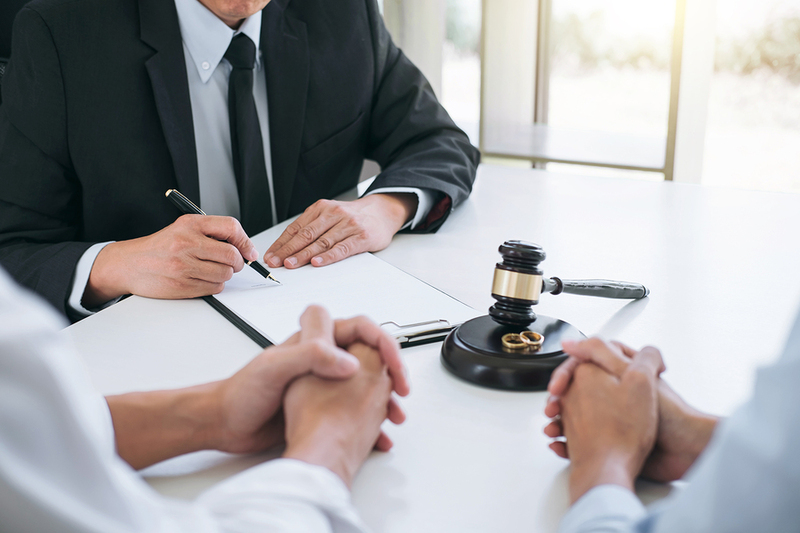 You can rest assured that you will not be passed off to a less-experienced lawyer, as may happen in a large law firm with dozens of attorneys. 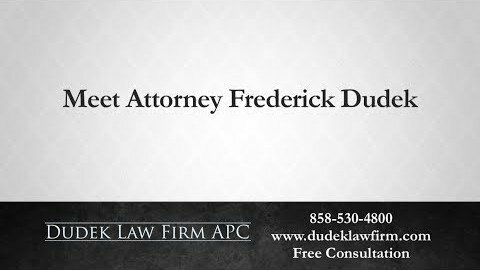 Frederick Dudek is with you from the first consultation to the conclusion of your claim. 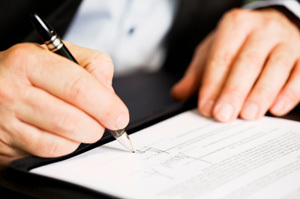 How Can Our San Diego Personal Injury Law Firm Help You? 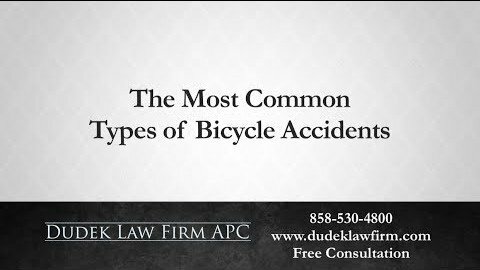 Bicycle accidents. 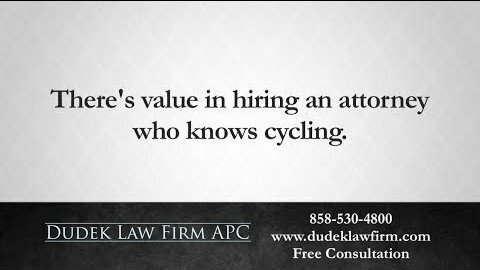 Attorney Frederick Dudek is an avid cyclist who takes a particular interest in bicycle injury claims in San Diego. 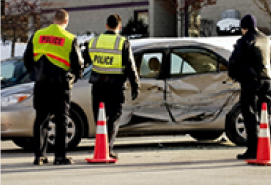 Motor vehicle accidents. 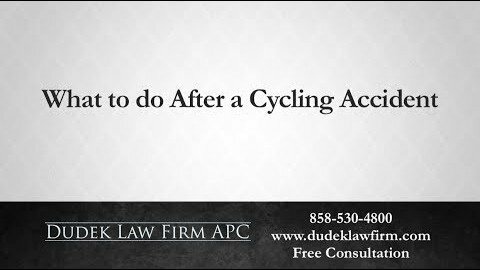 Our law firm represents claims involving auto accidents, motorcycle accidents, truck accidents and recreational vehicle (RV) accidents. Maritime law. Under maritime law, we aim to provide quality representation to workers and passengers hurt on fishing vessels, United States government ships, cruise ships, recreational boats, personal watercraft and aircraft. Pharmaceutical drug litigation. Our drug litigation practice focuses on assisting clients affected by recalled prescription drugs and injuries from their use. Product liability. 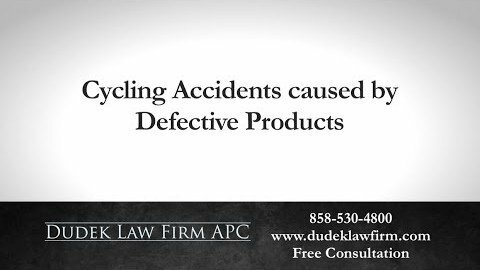 We work to hold companies responsible for manufacturer’s defects, design flaws, lack of proper warnings and product recalls that cause serious or fatal injuries. Premises liability. 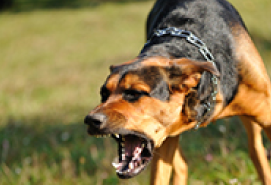 Our law firm handles a ranges of premises liability claims, including slip and fall accidents and dog bite claims. 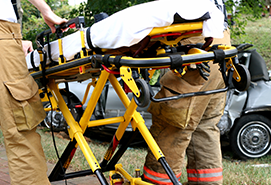 We also represent victims who suffer traumatic brain injuries or spinal cord injuries as a result of these and other serious accidents. 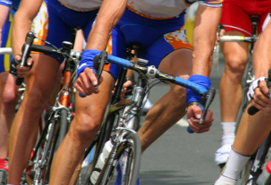 Where Can I Find a Lawyer Who Handles Personal Injury Claims Near Me? 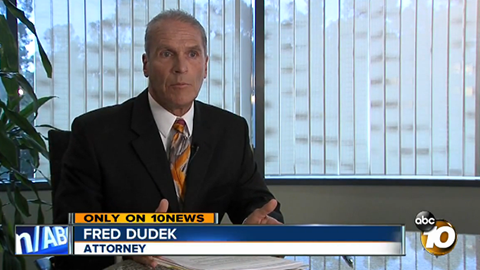 Dudek Law Firm serves clients in and around San Diego and Southern California. This includes residents of Scripps Ranch, Tierrasanta, Rancho Bernardo, Poway, Carmel Mountain and the surrounding areas. If you have questions after an injury or simply want to know whether you have a case, then contact our San Diego personal injury attorney to schedule a free consultation. 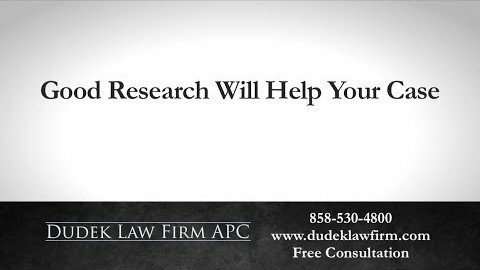 Why choose Dudek Law Firm?